Home » blog » Welcome in Finland, Nono! 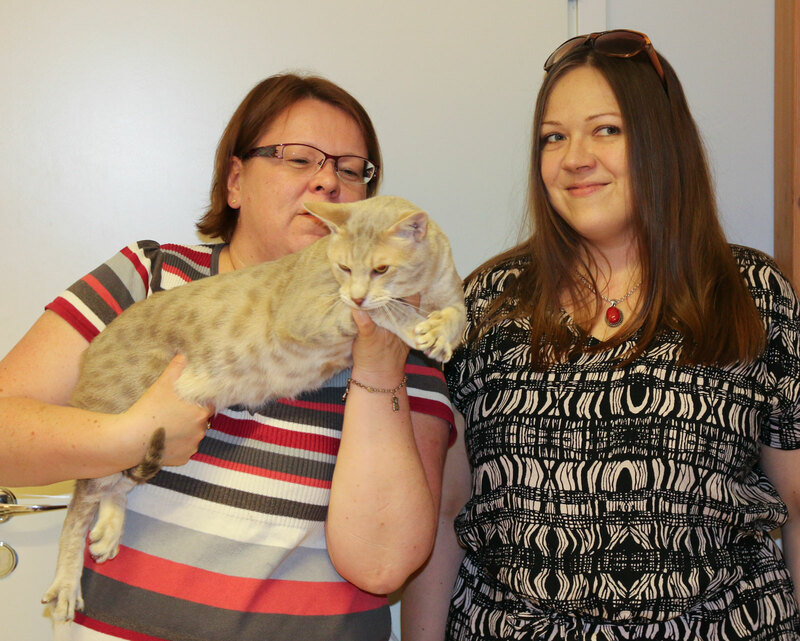 Welcome in Finland, Nono! 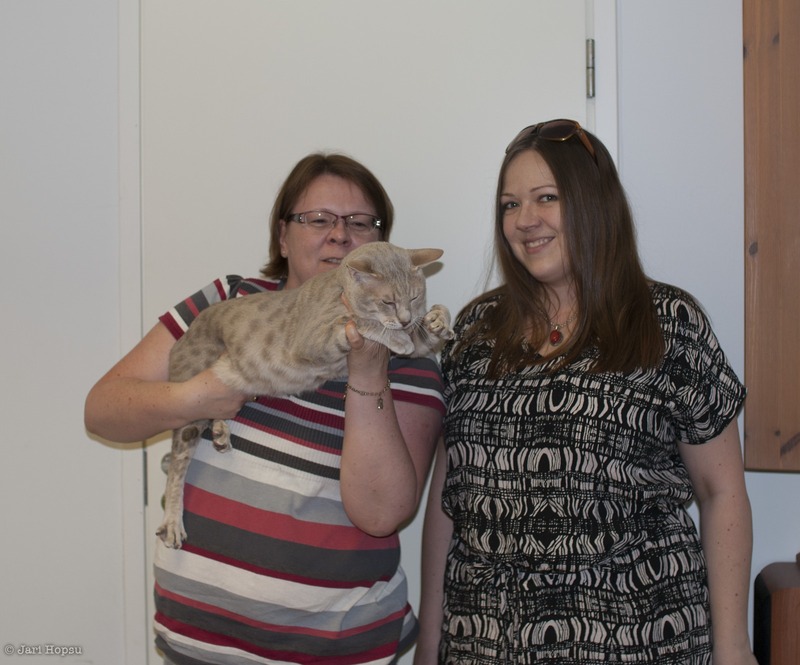 Marjo Vormisto (FI*Guttatus) and I (FI*Northalla) had the great pleasure of bringing Nono (Blackwater Owi No Limit) in Finland to live. 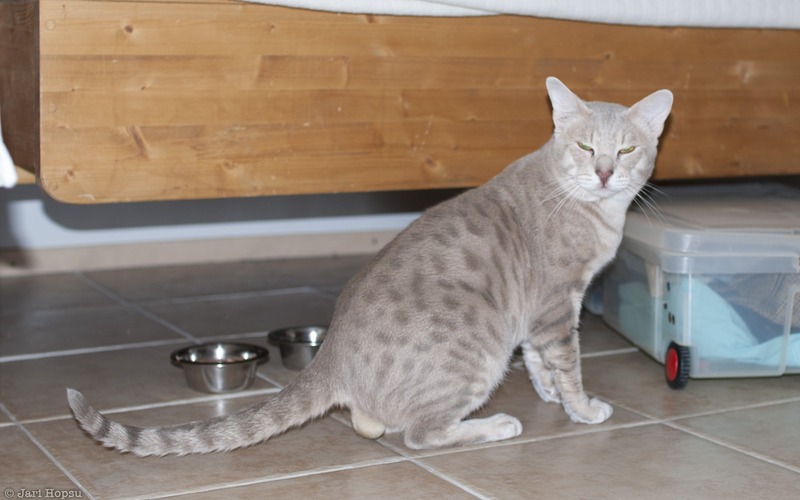 Nono is a very handsome and sweet-tempered lavender spotted Ocicat stud. Both our catteries are hoping to have offspring from Nono in the future. Our big thanks to you, Guus & Ellen van Tulder, Joost Verhoeven and also Nono’s foster home Cattery De OciSpot for this lovely boy. 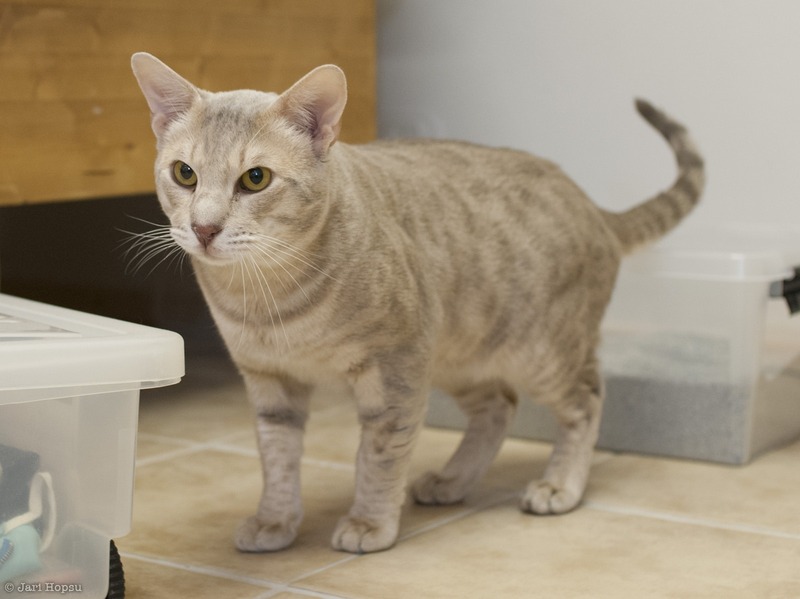 Nono is originally from the USA, and as a kitten he moved into Europe, where he has sired some Belgian and Dutch Ocicat litters. Although our friendship with Nono is still young, we can proove already what others have told us: in addition to his masculine and gorgeous looks, Nono is the sweetest, purring, kissing and gentle boy, just lovable. Nono just flew into Finland but he seems to be taking things calmly.